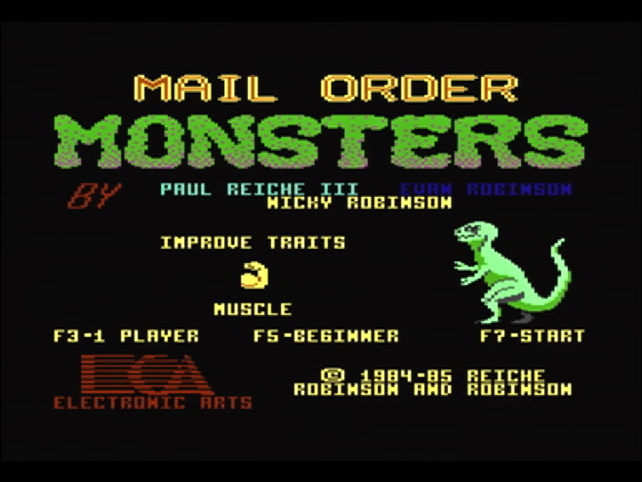 As part of the glorious early history of Electronic Arts, Mail Order Monsters (1985) is an intriguing and involving game that offers a metric tonne of fun, originality and replayability. Either against the capable AI, or pitted against another human in front of the computer, MOM makes for hours upon hours of vat-bred enterslainment. The game was designed by Even Robinson, Nicky Robinson and Paul Reiche III. Reiche had previously designed the classic Archon: The Light and the Dark chess-like fantasy game for EA, as well as its equally enjoyable sequel, Archon II: Adept. 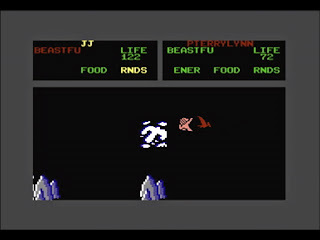 The one-on-one battle system from these games are reprised in MOM, now with some deep creature customizations available for players to tailor their charges to their tastes. EA revolutionized video game packaging in their formative years, presenting their wares in large, flat, square cardboard sleeves reminiscent of LP record albums with colourful, creative covers. The entire premise of MOM is summed up by the image up front: a tricked-out creature bursting forth from an envelope. The whole idea is that the player is a participant in a futuristic pastime, that of growing and splicing various beasts for sport. It offers three types of play from which gamers can choose: the Free Trial, where one can pick from any of the 12 stock monster types without any customization, and take them for a test drive. Choosing Rental opens up the game considerably, putting the player on the Morph Meadow and letting them walk around to the various facilities available. Visiting the Vats lets you pick out and grant stats to a “morph” to do battle with, along with allowing as much physical changes as you can afford with the currency, or “pyschons”, granted you. Care to add a stinger to your Lyonbear? Be our guest. Think acid spitting is more your style? Right this way, we have some particularly caustic toxics today. You can then take your newly formed charge and visit the Weapons Shop for outfitting with some more mechanical armaments, like a Gas-Gun, or a perhaps a Multilaser for you tentacled types. Then its a trip through the Transmat, and time for some one-on-one mayhem. A battleground of varying landscape types is randomly chosen, and one of three game modes is chosen by the player: Destruction is a duel to the death, there’s Capture the Flags in which the flags must be obtained in order, and The Horde featuring co-op play against a steady stream of invaders while competing for the most kills. Once chosen, a large map appears, with the two monsters as small dots. As the creatures approach each other, the view narrows to feature the two combatants at close range. 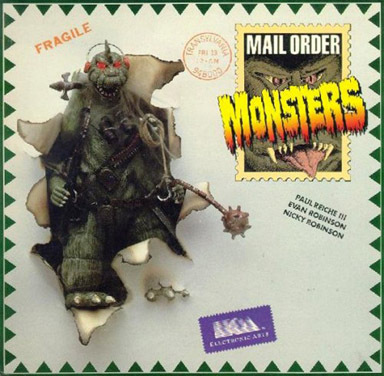 The players not only have to contend with each other’s monsters; randomly placed among the battleground are guardians and other enemies, who come under the control of your opponent when tripped. Upon completion of the duel, the winner is presented in a graphical flourish, and the game is over. If Tournament is chosen from the main menu, then the players have access to the corrals, granting the opportunity to save their creatures, and upgrade them with phychons awarded to the victorious. The corral also features a nice homage to famed early EA game designer Daniel Bunten, with one of the eponymous creatures from his classic EA game M.U.L.E. waiting inside it. MOM is charming, deep, fun, and challenging. The amount of creature customization available is staggering, and ensures that the game gets many a spin through the floppy drive as would-be monster handlers try their hands (or claws) at the vast amount of strategy on offer here. 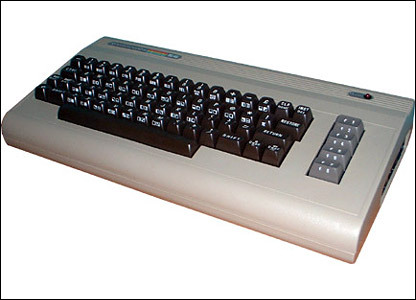 This entry was posted in C64, EA, MOM, RTS on March 10, 2011 by William Hunter.